The opportunities for women to compete in MMA on a professional level have never been more plentiful. Yet for many women, the newfound popularity of WMMA has only reaffirmed their own exclusion. Take the prominence of the 135-pound bantamweight class, the one made popular by Ronda Rousey and Miesha Tate. Bantamweight may be the most notable division for female fighters, but is its prominence due to population standards or to the pressure put on women to fight at lower weight classes? Rousey herself dropped from 145 to fight at 135 pounds, and she looks terrific. However, there are other women, such as Marloes Coenen and Cris “Cyborg” Justino, who simply cannot drop that low. Even Invicta FC, the largest professional women’s MMA promotion, places a cap at 145 pounds. Which means that even as more female wrestlers and boxers drift toward MMA, there is still a tremendous gap between fighting opportunities for men and women. The problem for many female fighters who are over 135 pounds or even 145 is that the pressure to cut weight is intensified by cultural ideals about the female body. Although people have called out UFC heavyweight Roy “Big Country” Nelson for his flabby physique, he's had a highly successful career without a six-pack. In fact, there are many male fighters in the UFC who do not look like GSP or Jon Jones, but while a few snarky comments about them may occasionally enter the media, these men are allowed to compete at whatever weight they wish, as long as they continue to perform. But the treatment of female athletes whose bodies do not conform to the idealized societal “norms” promoted by the media is not just cruel and hypocritical; it’s damaging to the sport. Some of the best fighters in the world would not be able to not make the cut for the 145-pound weight class, much less 135, which means most of us will never have a chance to see them fight. Lana Stefanac, the first American woman to come in first place in both her weight class and the Absolute Brown/Black belt divisions at the famous Abu Dhabi grappling championships, fought at 185 pounds. Lana is an Amazon and without a doubt one of the greatest BJJ fighters around, not just as a woman or an American. 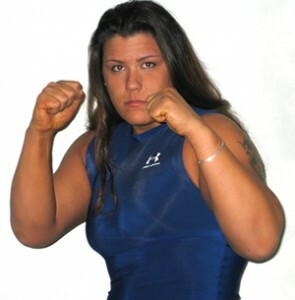 She retired undefeated from professional MMA in 2009. Her fight career rivals some of the most iconic names in the sport. But while Lana’s legacy is established in the more educated BJJ and MMA circles, she’s barely known outside of those communities. Physically, Lana reminds me of some of the most famous female fighters in history, many of whom occupied weight classes far above our current bantamweight standard. In the late-19th century, the most prevalent weight class for female boxers was 180 pounds, and its greatest champions were often praised in the media for their Amazonian physiques as well as their prowess in the ring. 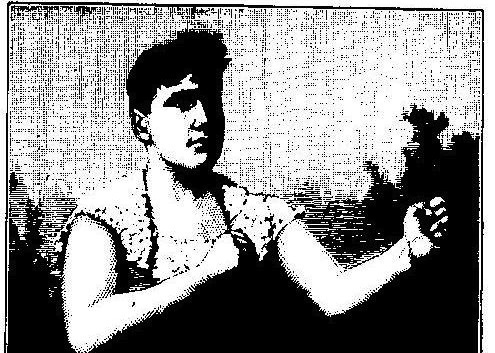 Hattie Stewart and Cora Livingstone, two famous female pugilists, were celebrated even though they were both heavyweights whose bodies didn’t conform to conventions of beauty outside the ring. But part of our current cultural climate has been dismissive, if not absolutely vitriolic, when it comes to the treatment of female athletes who are larger than the cultural ideal. U.S. Olympic weightlifters Sarah Robles and Holley Mangold have been ridiculed for their “obese” frames, despite the fact that those frames make them able to lift incredibly large amounts of weight--that is, do what they do. But health pundits and members of the press take Holly’s and Sarah’s size as permission to diagnose them as ill. When's the last time you heard about a male weightlifter being talked about in the same way? In the fighting world, the treatment of fighters over 145 pounds isn’t nearly that malicious mainly because it’s pretty much non-existent. Women looking for matches in weight classes over 145 have difficulty finding opponents, much less the series of opponents necessary to further their careers. And support from the WMMA community is often wanting. Instead of waiting politely for help from the largest venues, many of these fighters, their coaches, and matchmakers, have banded together as a grass-roots organization through the Facebook group “WMMA 155+ : Let's Build These Divisions.” According to Courtney Belcher, a MMA fighter in Virginia, the Facebook group “has been instrumental in bringing fighters, promoters, sponsors, and supporters together. It is at 800 members and has over 100 profiles for women who are in combat sports in the heavier weight classes.” The opportunities for female fighters 155 pounds and over are growing, but until a prominent organization like Invicta starts promoting these fighters, they will continue to be marginalized by the MMA community and normative cultural standards.